Ken Baseman began his career at the Antitrust Division, U.S. Department of Justice, where he worked for eight years. 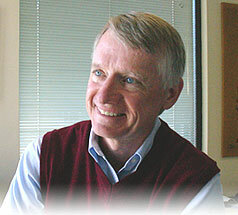 As a consultant, his practice focuses on antitrust and regulatory economics, and he has a broad background in several industries, including newspapers, broadcast and cable television, chemicals, international crude oil, tires, automobile components, aerospace, telecommunications, electric utilities, and various aspects of intellectual property. He is an expert—and successful expert witness—on the economics of exclusionary practices. Mr. Baseman has represented public and private clients in a number of high-profile matters. For example, he testified for LePage’s (LePage’s v. Minnesota Mining and Manufacturing) in its successful antitrust challenge to 3M’s marketing programs, and for the Antitrust Division in both the Detroit newspaper JOA proceeding and in the Division’s successful challenge to a Northwest Arkansas newspaper merger (U.S. v. Donrey) . His analysis of Brunswick’s market share discounts for stern drive boat engines helped convince the FTC to end its investigation and to refrain from filing an amicus brief favoring the plaintiff in Concord Boat v. Brunswick. In Michelin’s acquisition of Uniroyal Goodrich Tire, his analyses of efficiencies and likely competitive effects helped obtain antitrust clearance. Mr. Baseman has also submitted written testimony to regulators involving issues such as the costs and benefits of line-of-business restrictions for profit-regulated monopolists; the effects of alternatives to traditional rate-of-return regulation; the effects on consumers of cable deregulation; economic and competitive issues relevant to expanded interconnection by local telephone companies with emerging sources of competition; and the market power implications of abandonment proposals for natural gas pipelines. His scholarly publications concern the economics of open entry and competition in natural monopoly contexts, and the economics of newspapers.